Accès à l'intégralité des événements de SBPT 2019, du Jour 1 au Jour 5. Accès à tous les événements de SBPT 2019 du Jour 3 au Jour 5 uniquement. This ticket allows you to access Spring Break Portugal 2019 on the 25th of April for the event "Block Party". This ticket allows you to access Spring Break Portugal 2019 on the 26th of April for the event "Afrohouse Vs Afrobeats". 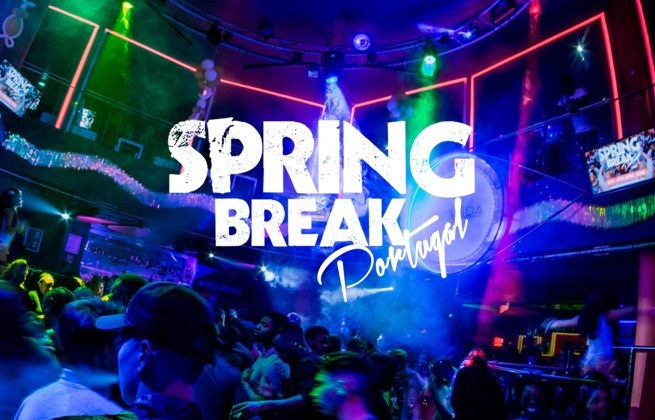 This ticket allows you to access Spring Break Portugal 2019 on the 27th of April for the event "Spring Break Portugal Fest"
This ticket allows you to access Spring Break Portugal 2019 on the 28th of April for the event "Graduation". This ticket allows you to access Spring Break Portugal 2019 on the 28th of April for the event "Soca Juice Beach Party".